Apache Pig is a platform for analyzing large data sets that consists of a high-level language for expressing data analysis programs, coupled with infrastructure for evaluating these programs. The salient property of Pig programs is that their structure is amenable to substantial parallelization, which in turns enables them to handle very large data sets. "Useful for map reducing huge dataset"
It can handle some of the simple mathematical operations, along with reducing the data. Aggregating the data is extremely useful. It cannot perform sequential operations, like taking consecutive lines and then comparing them. Reducing speed data provided by INRIX to a monthly or a yearly aggregate. "Big data? No problem with the operations!" I have used apache pig on my part time job which handles big data and apache pig scripts helped me a lot. I have created custom functions and it makes easier to handle complex and huge tasks and makes easier to maintain after configuration. Also the system optimization of pig script jobs helped me to focuse on semantics and so. The default mode i mean the map reduce mode is very efficient. Sometimes i feel that our data is not that big in order to be handled with pig script. Its documentation makes me sweat and takes a lot of time to get used to. I was using it in Ad platform and our servers were getting too much requests and datas. While targeting this data pig scripts helped me a lot. What Big Data Analytics solution do you use? "A very good big data solution for querying"
5. Decrease in development time. This is the biggest advantage especially considering vanilla map-reduce jobs' complexity, time-spent and maintenance of the programs. 5. Especially the errors that Pig produces due to UDFS(Python) are not helpful at all. When something goes wrong, it just gives exec error in udf even if problem is related to syntax or type error, let alone a logical one. This is a big one. You have UDFs which you want to parallellize and utilize for large amounts of data, then you are in luck. Use Pig as a base pipeline where it does the hard work and you just apply your UDF in the step that you want. Lazy evaluation: unless you do not produce an output file or does not output any message, it does not get evaluated. This has an advantage in the logical plan, it could optimize the program beginning to end and optimizer could produce an efficient plan to execute. Enjoys everything that Hadoop offers, parallelization, fault-tolerancy with many relational database features. If you want to do apply some statistics to your dataset. Functional programming paradigm fits quite naturally to pipeline processes, so I expect it to be quite successful. Data Analysis for the raw data we have. Initial data exploration has been useful with pig. Definitely a good starting point for writing quick big data applications. Anyone who has experience writing queries and basic programming experience in Java, should be able to pick it this language up in short time. Its really useful to learn and makes ad-hoc analytics very convenient. Few of our proprietary data pipelines involving batch-processing are written using Pig. Programmers can focus more on writing the core analytics logic rather than getting worried about so many mappers/reducers for each intermediate sub-task. not as truly scalable as writing MR job. main process pipeline flows are using pig. "Apache Pig - Faster execution"
Apache Pig is a 1st pass compiler, which is at its best using DAG. If you want to drill down and use complex structures, it is not the best way. 4 great purpose it is the right tool, finding out is, however a trickier business. If you do not know the structure in advance, then DAG and declared execution plans may be the best way to find it out - then use SQL once the plan is know. "Analyzing large data can be so easy with this tool!" Pig is a great high level scripting language for operating with big datasets that work under the Apache's open-source project Hadoop. This software allow you to transforming and optimizes the data operations into MapReduce, something that can be challenging with others platforms. I recomment this tool to my clients that need to manage a big list of users that will load a considerable amount of data daily. This can help you to clean, search and declares independent execution plans easily. You can compare this tool with sql programming but the way this tool use UDF help you with ease call the functions directly with Java, Js, Python and of course the big Ruby. At the beginning was a bit difficult to get used to working under his pig latin language, however there is very good documentation online that allow you to manage your process. Apache Pig it got many competitors so they will need to optimize the system because sometimes the scripts won't get you the ideal results. My clients used normally to big process with data sets that will contain specially json objects they will be available to solve very convoluted data sets. 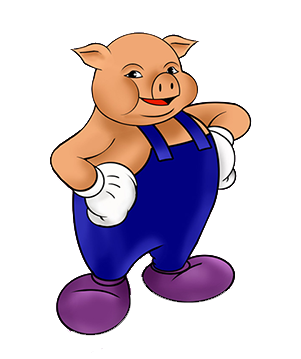 "Pig - Great stable batch processing"
Its super simple to learn. Probably within a day you can learn on syntax. It is nicer looking than complex hive queries. Step by step processing of data and ability to describe each relations is very useful. On top of that you can add UDF of your own. Pig on MapReduce is SLOW! Well, not really problem with Pig but overall its slow. Its stable and works but I think now its getting obsolete with introduction of Spark. Its a scripting language and now a fully blown programming language, so many of the basic features are not available and you will end up writing a lot of Java UDF. A lot of batch processing and huge data processing pipelines/workflows. Data cleaning, manipulation normalization becomes easy. "I've only evaluated it as a proof-of-concept, but the small I see I've liked it"
The ecosystem and the way it works. Being able to implement and integrate what you currently use. I think getting started is a bit patchy but once you're familiar and used to it, it can be very helpful. Being able to utilize data efficiently regarding analytics. "Awesome! Love this tool. " Once you get through the ideas and concepts that this software set can do you will love it to. Its extremely procedural which really reminds me of sql programming. It is extremely powerful, can connect to Hbase and of course Hive. Optimizing. This can be difficult and be considered "artsy". This is because pig creates map reduce jobs that run on hadoop. So if your cluster isn't totally optimized, just optimizing this scripts won't get you the best results. If you are looking for a tool that is more geared towards developers and not novice users than pig is your tool. It is free and lots of documentation online. ELT. We use pig to process our disparate data sets, containing json objects and "normalized" data to create data warehouse structures in hive. We have realized that we are able to solve complex problems (joining for example) without having to write custom map reduce jobs. "Easy and Simple to use"
I used it at my old company and it was easy to use. I was really used to using SQL beforehand but was easy to adapt to. The user interface is not my favorite. It is tough that there is not really that large of a community using it. It helps me with my big data sets. I was able to do alot more than i realized with it. Simplified abstraction for performing mapreduce... readable. Slow and clunky, especially when there are better options out there like Spark. Start using spark or Hive to develop pipelines. Parsing large event-level datasets. Benefits in the past were, again, building readable pipelines. Alternatives back then would have been Hive or Java MapReduce. Now Spark is becoming a better option. Less number of instructions does big tasks of collecting, loading, consolidating the data. Triaging of the production issues. "Was good innovation but not as relevant now"
* We monitor all Apache Pig reviews to prevent fraudulent reviews and keep review quality high. We do not post reviews by company employees or direct competitors. Validated reviews require the user to submit a screenshot of the product containing their user ID, in order to verify a user is an actual user of the product. Hi there! Are you looking to implement a solution like Pig?